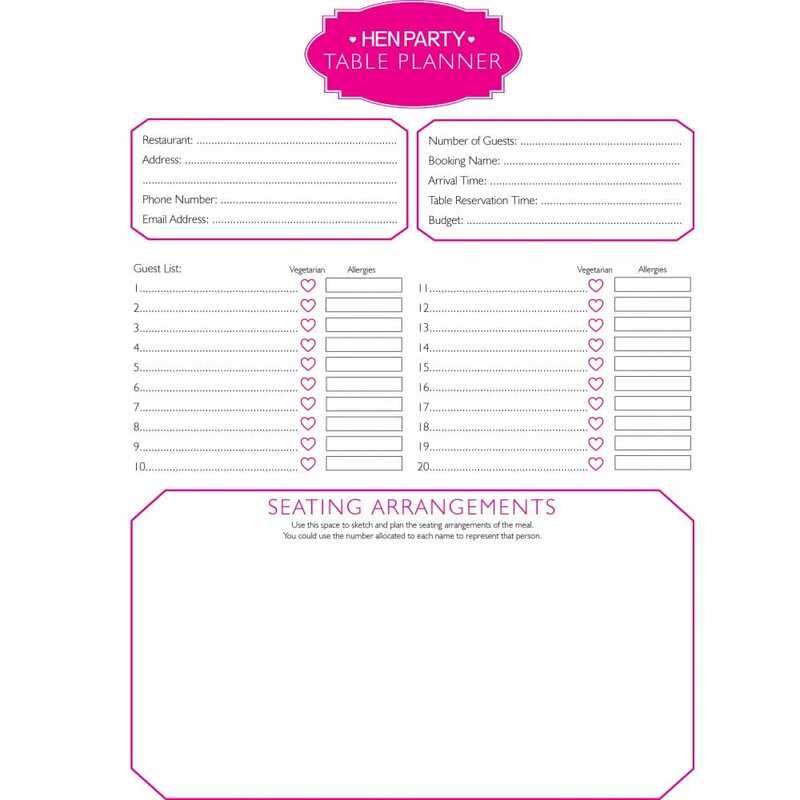 Use this free Hen Party table planner document to note down your guest list, seating arrangements, dietary requirements, and any other relevant information for your Hen Party restaurant experience. There is also space at the top of the page for you to note down the address of the venue, the reservation details, and more. Maids of Honour, being organised has never been so easy!